Enjoy your next show or a visit to the museums. Record your notes on the stands you meet by taking pictures and taking the exhibitors’ contacts. While walking, thanks to the beacon technology, the app automatically records the name of the stand in which you are. All the most important stands will remain memorized thanks to their favorite features. Name, address and description of the stand will appear automatically. Keep your visits organized by adding the information manually. 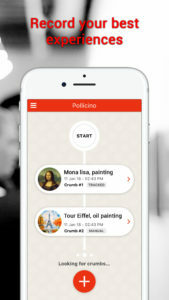 All information is stored in the device in offline so even if you are in a museum or at fairs with little signal you can take notes and keep updated the list of your favorite stands. You can customize the contents so you can also store pictures, products and museum exhibits. Are you an exhibitor? 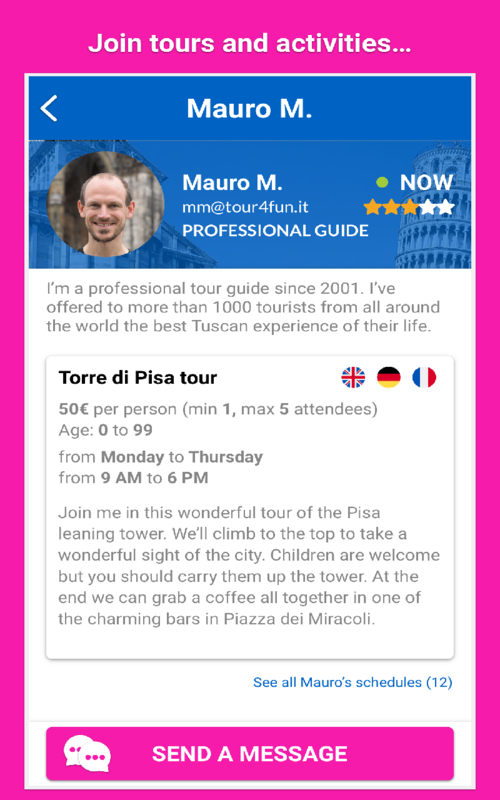 Do you want to create your totem thanks to the QrCode or beacon? Join the community now: it’s free. 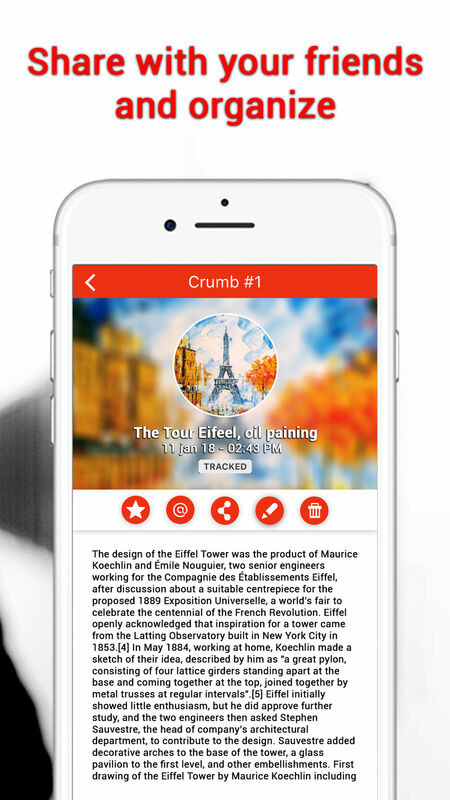 You can share information about stands or museums with your friends. Launch the app and press the start button to start your journey! Addicted to the best taste in the world? Travelling to find new taste? 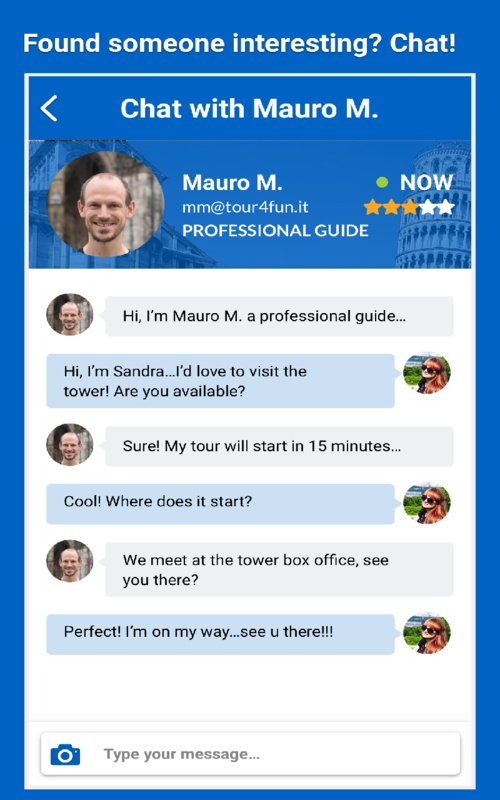 Chat with other tourist to find the right place to share a meal or a trip. Sport and Wellness are welcome: enjoy thousand of travel guide or tourist to play together to many available sports: right here, right now experience! 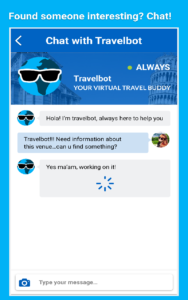 Find a professional buddy or a tourist like you to have this trip together visiting the best places any interesting venue in any interesting city all around the world. No reservations, no tickets, no early hassles: you land, you get to the venue and you tap on any point of interest. 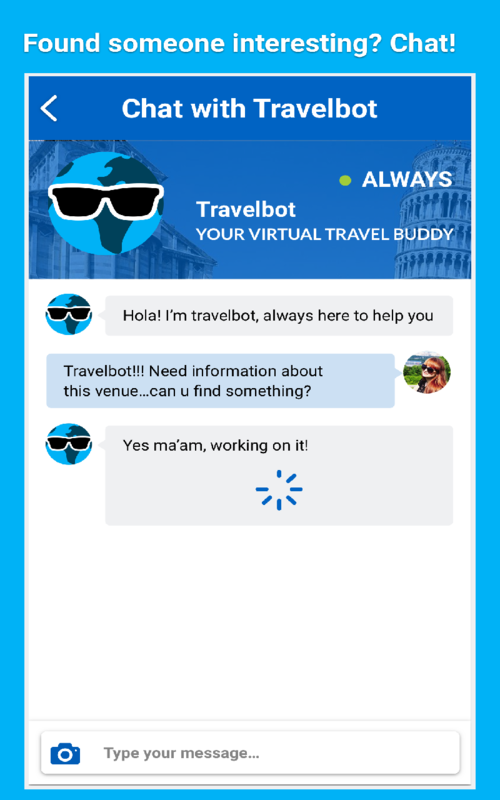 Check-in at any venue to be found and to meet travel buddies right from your smartphone. And when you find a buddy, just start messaging with one tap. 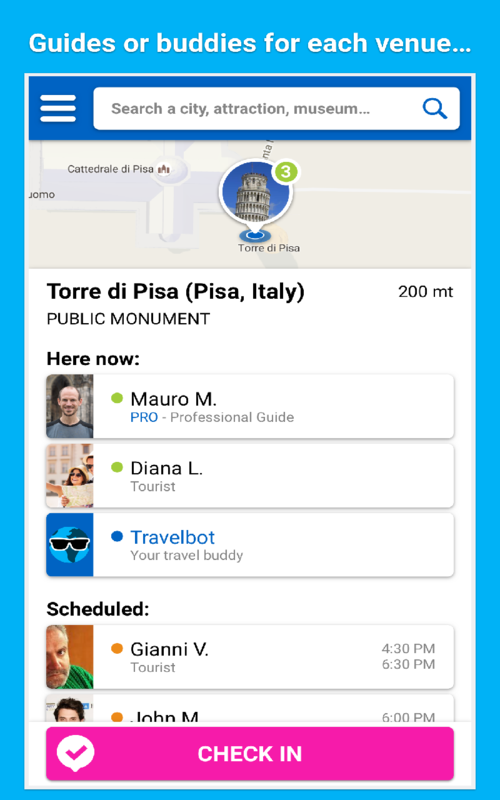 Open the app and select a venue around you: you’ll immediately see the list of available travel guides or buddies. 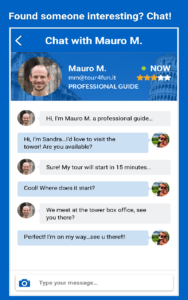 Real people in real time, ready to take a tour with you. Rome, Paris, New York, London, Florence, Berlin and any other wonderful city you can name…no matter where you want to spend your holidays or spare time: with Travel guide finder you will never be alone. Find friend that look like me.. through FaceBook! You can launch and recognize your photo friends every time you want!!! Test Zodiac Sign Affinity with your Facebook Friends applying complex algoritms. Astrologers have devoted lifetimes to correlating planetary positions to events on Earth, and dispensed advice on every type of development… This App recall ALL methods to calculate Affinity between signs of the Zodiac! Using this App is Very Simple: connect your profile and choose searching gender Facebook Love Match! will reveals to you affinity! Also you can post affinity to him/her profile! Do you like to play fantasy card’s games? You can design your own cards for popular trading card games! Board games too! With few step you can create your own game: grab a picture from browser or camera, set rank levels and put description. Join to our magical deck master community and enjoy with your imagination! This app does not require data plan until you share the card to facebook. This app respect your privacy: no personal info is sent. Do you like to play “fanta” soccer games? Use cards to print stickers or play with your friends online! With a few step you can create your own game: grab a picture from browser or camera, set rank levels and put description. Join to our soccer players deck master community and enjoy with your imagination! Your child wants to talk to Santa Claus? Bored by the Christmas holidays with family and friends? Search the thrill of competition … under the tree! ☆ Simply engaging … attention can be addictive! 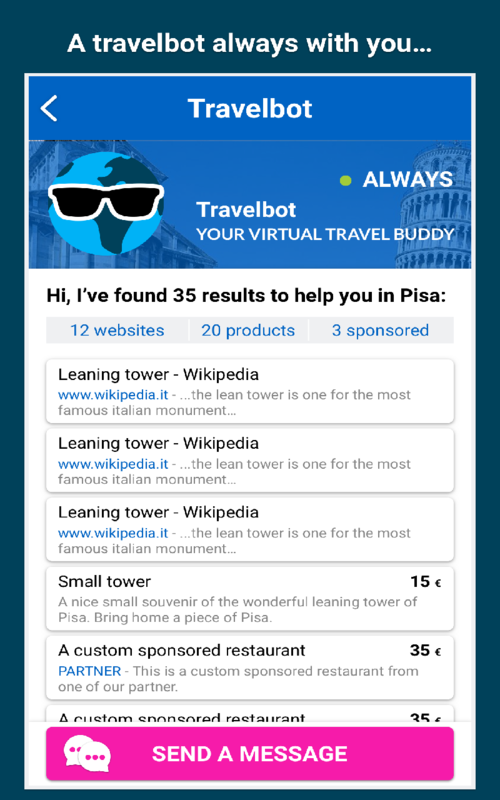 Avvia l’applicazione e richiedi di regalare una copia ad un tuo amico! 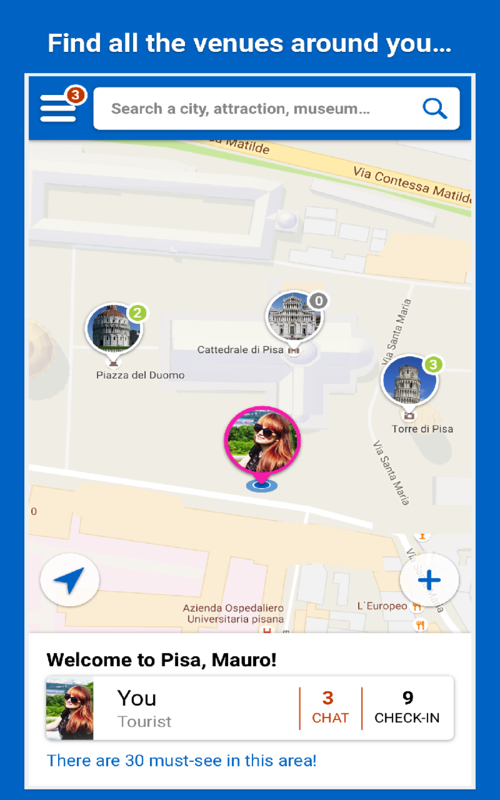 Collega il tuo account di facebook e condividi tutte le tue avventure con la tua macchina, bici, o triciclo! Puoi condividere autovelox, velocita’ e altre insidie che trovi guidando. Potrai quindi avvisare di un pericolo i tuoi amici. 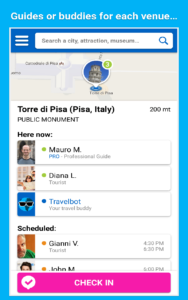 Puoi condividere anche sull wall dell’applicazione! 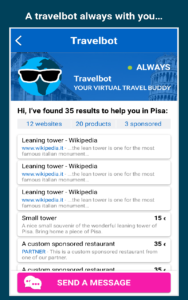 L’applicazione raccoglie dati anche quando non hai un piano dati o la connessione attiva: funziona offline. Mentre guidi l’applicazione mostra lo stato corrente del veicolo. Inoltre emettera’ dei suoni per avvisarti di pericoli o dei limiti di velocita’. Ovviamente puoi usare questa applicazione anche SENZA facebook: senza il tuo consenso l’applicazione non invia NULLA a nessun server. + Autovelox "Tutor" Sistema di Media della velocità!!!!! Welcome to Speed Mania the new driving experience sharing mobile application. Connect your facebook account to share with your friend road issues and trip. This application work offline too! 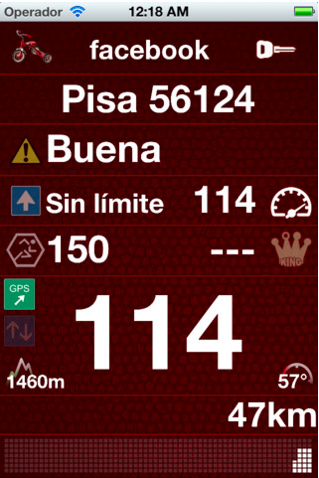 Yes, while driving the app will show you current vehicle status and record your speed. Also you can use this app WITHOUT posting on facebook. – Non si possono scegliere mezzi diversi.. solo la ZUCCA!